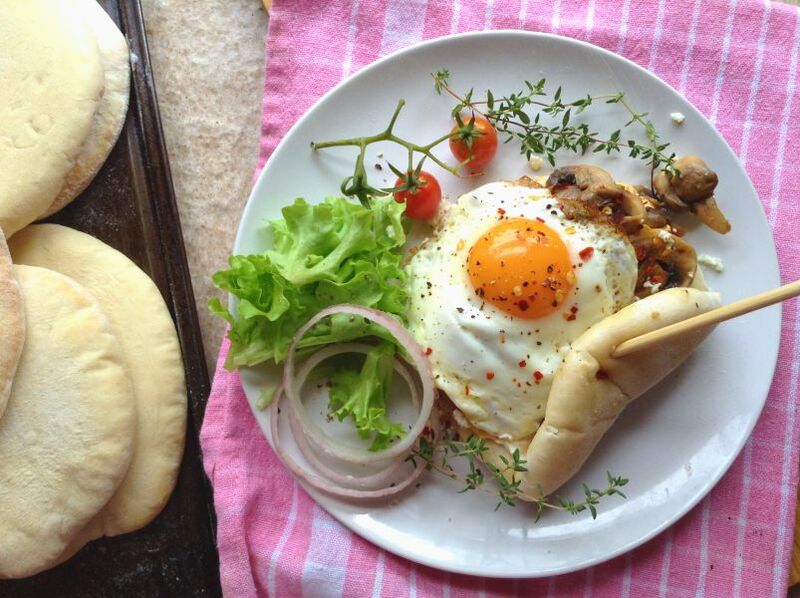 Cheese Mushroom and Egg Breakfast Pita makes the perfect weekend brunch or breakfast. Deliciousness made real easy with Homemade Pita, a spread of cream cheese, spicy mushrooms, a slice of melty cheese and topped with a crispy fried egg. So good right ? 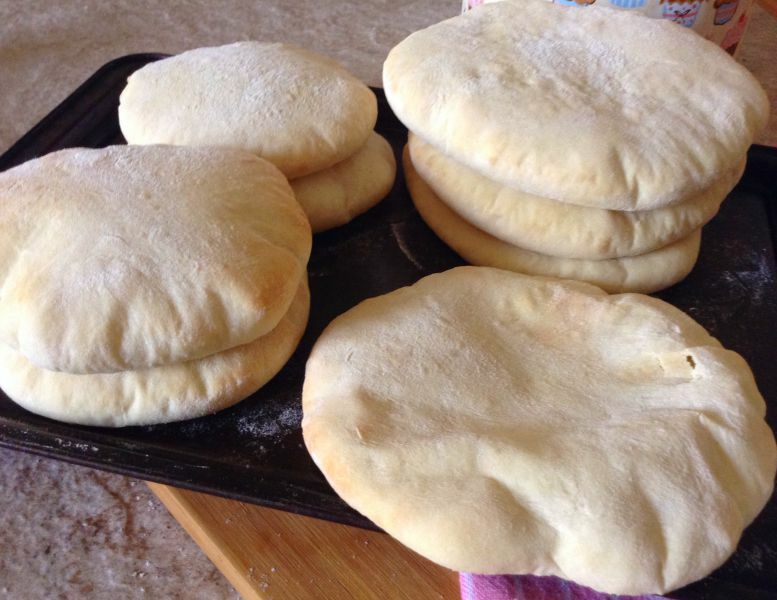 On Tuesday, I shared a recipe post on Easy Homemade Pita Bread. It is a simple recipe giving you a step by step method on how to make your own pita bread. It does use yeast in the recipe, but as I mentioned in the post, instant yeast really makes bread making so much simpler. 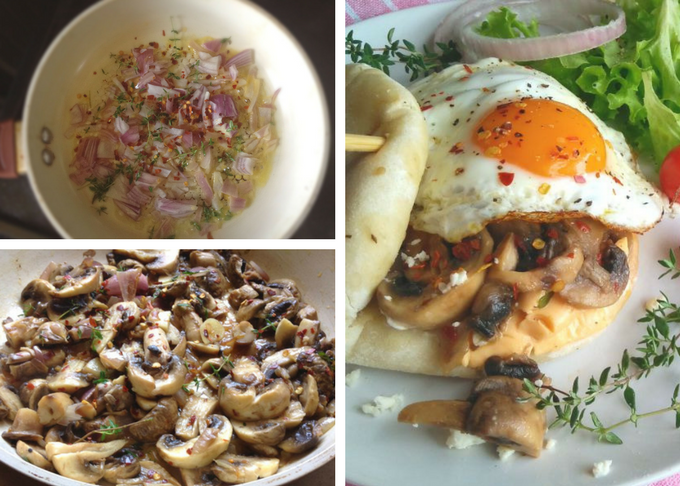 So if you would like to make your own pita for this recipe, the Cheese Mushroom and Egg Breakfast Pita, go ahead and check out the recipe here. Remember, the pita bread can be made up during the week and will remain soft at room temperature in a sealed container or up to a month in the freezer. If you are unable to make the pita, then store-bought should work just fine. Can you believe that you can have this breakfast on the table in just 15 minutes, it really makes the perfect weekend breakfast. And especially for your unexpected brunch guests….yes thats right, you go ahead and impress them with this plate of yum ? Chopped mushrooms are fried in butter or margarine with onions,garlic, thyme and dried chilli flakes for just 5 minutes. I do not like to over cook the mushrooms because I feel that they lose their flavour and becomes way too soggy. Add chilli flakes to your taste…my taste is almost the entire bottle? …. I so love spicy food. A little cream cheese is spread on the pita with a slice of cheese, any cheese you prefer, I usually use cheddar. Layer with the cooked mushrooms and then top with a crispy fried egg. And seriously that is it! Ready for breakfast yet? On medium heat,melt the butter or margarine in a pan. Add in the chopped onion, garlic, chilli flakes and thyme and cook until the onions are softened, about 3 minutes. Stir in the mushrooms and cook for 5 minutes. Season with salt and pepper. Warm the pita bread either on a pan on the stove or in the microwave for a few seconds. Spread cream cheese and add a slice of cheese on the pita. Divide the cooked mushrooms into 4 equal portions and spoon the portions on each of the pita breads. Using another pan, fry the eggs to how you prefer, season to taste and top the mushrooms with the egg. Serve with lettuce and tomatoes and crumbled feta if you prefer. You definitely put those pitas to good use!! 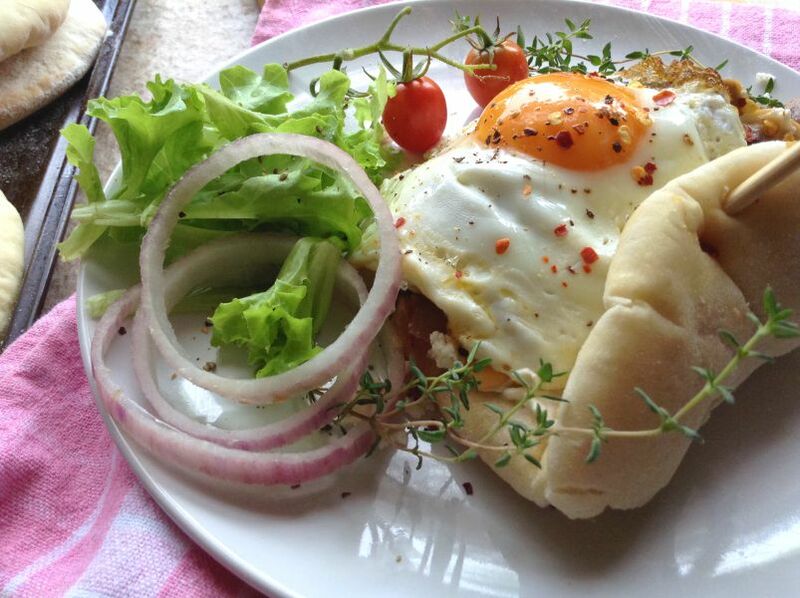 I love savory breakfasts like this – I would devour this!! I love those fluffy pitas and the toppings you added look awesome! Definitely the perfect weekend morning breakfast! Have a great weekend Ashika! Thank you Leanne, it does great breakfast. Beautiful way to use your pitas. Thank you so much ! I would love to wake up to this any day!! Simply delicious! This dish looks beautiful, Ashika – I love mushrooms any way I can get them and with a lovely egg on top – my mouth is watering. So you’ve convinced me to try the pitas – hopefully later this week I will make them. Thanks for the recipe! Aww thank you Laura …I also absolutely love mushrooms. Those mushrooms look so good, what a lovely breakfast this would make. This looks like the best breakfast! 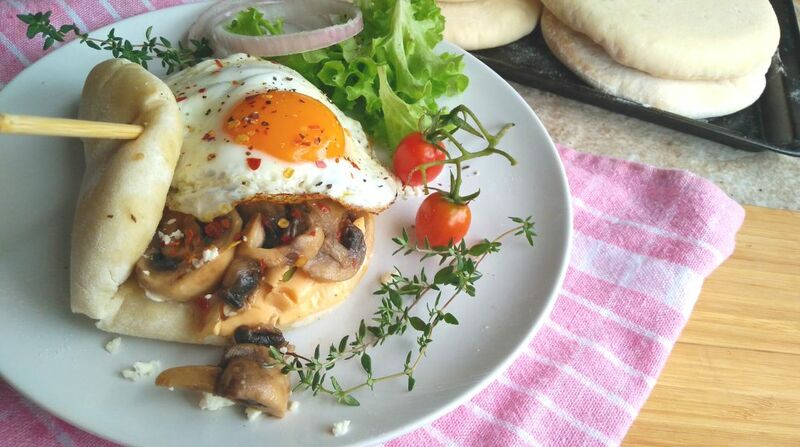 Those fluffy pitas , cheese, mushrooms and fried egg are a great combo together!